While in HI I came across this un-obtainium 914. Not only 1.....but TWO! About 20 years ago we saw a black 914 on Maui on our way back from a bike ride down from Haleakala. I've seen them on Maui, the Big Island, and Oahu. I stalked one on the Big Island and talked to the guy for a minute. He wasn't very friendly. 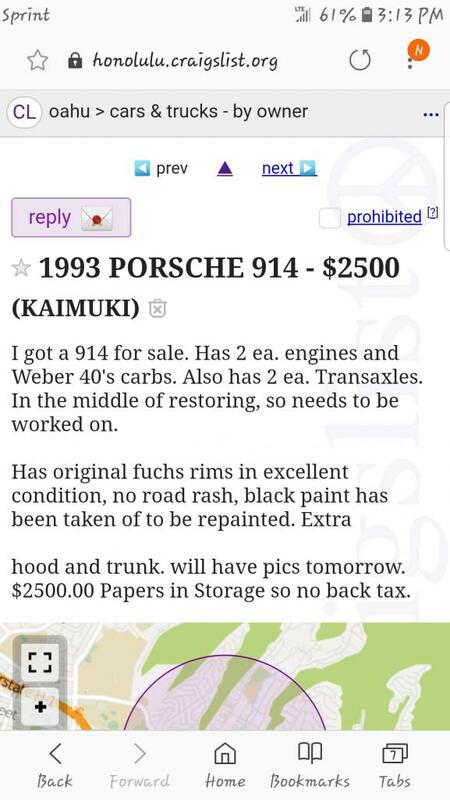 The 1993 model must be a really special one! !